Click on the "Payment Options" link. 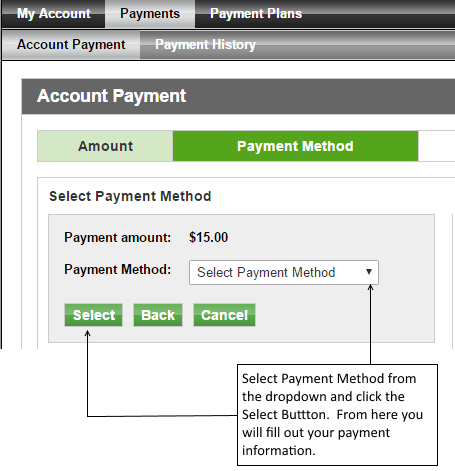 On the next screen you will see 3 different payment options. 1) If you would like to pay by Credit Card (Discover, American Express, MasterCard, or Visa) or Online Check. 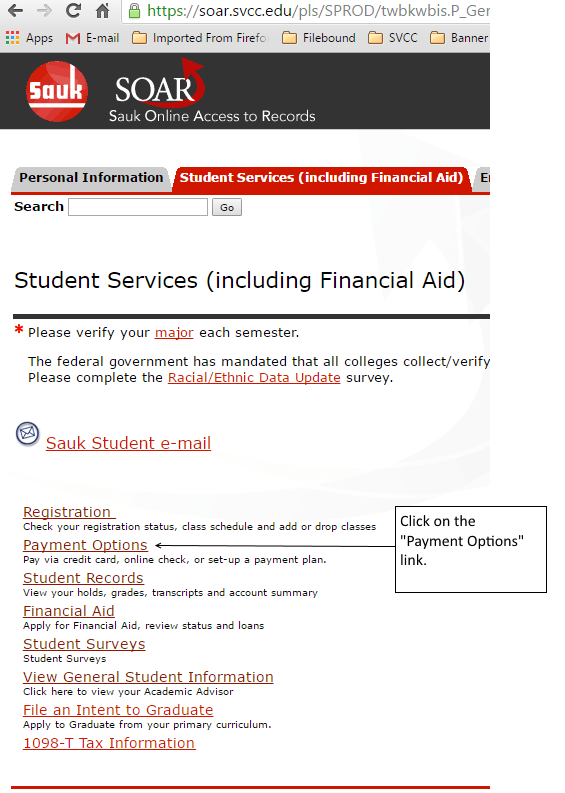 2) Payment Plan- Set up a payment plan with Sauk Valley Community College. 3) Cash Payments to the Business Office. On the next screen you will see a detailed account of your balance. Scroll down to the bottom and choose "Make Payment". Scroll down to the bottom and choose "Make a Payment" again. 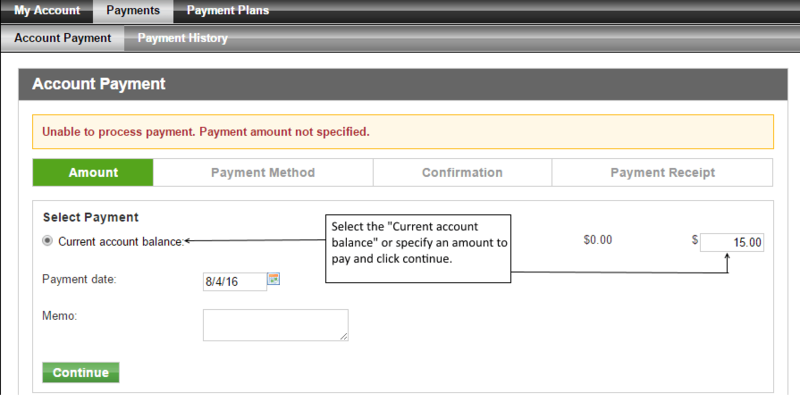 Select the "Current Account Balance" of "Specify an Amount to Pay" and Click "Continue"
"Select Payment Method" from the drop down and Click the "Select" Button. From here you will fill out you payment information.